This flaky, dry chutney can be refrigerated for six months or more. Make sure to buy the unsweetened, desiccated, grated coconut from an Indian grocery store. Toss a green salad with this chutney and some olive oil or mix with Greek yogurt and use in wraps as a spread. 1. 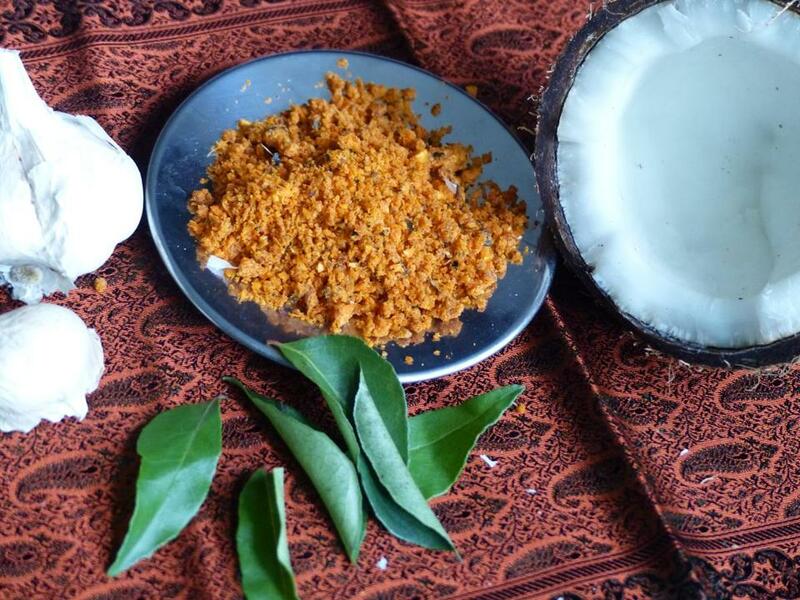 With a mortar and pestle grind the garlic cloves and curry leaves into a fine paste.